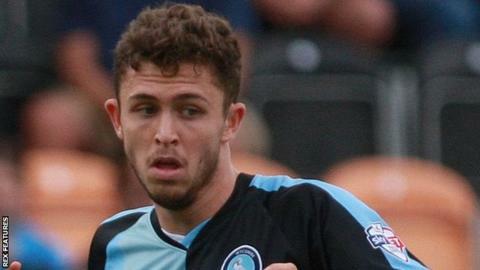 Barrow have signed defender Danny Rowe on a one-month loan from League Two side Wycombe Wanderers. Rowe, 20, has made 10 appearances for Wycombe since joining from Rotherham last summer, but has not played since their win against Oxford in December. "By not having a reserve team, we can't give match practice to lads who aren't involved on a Saturday," Wycombe boss Gareth Ainsworth told the club website. "Danny's part of my plans but this move is to let him play more football." Read more on What would scrapping FA Cup replays mean to the Football League?